I'm not a coffee drinker but I really like tea. Every now and again on weekends, Paul and I take the kids out for a morning snack and we get a cup of tea at a local coffee shop. When there are fresh Morning Glory Muffins, I just can't resist them. I started making my own a few years back so I can enjoy them whenever I wanted. Also, I love having muffins around that are filled with veggies for the kids! Recently, I had some extra pumpkin puree in the fridge from another recipe. 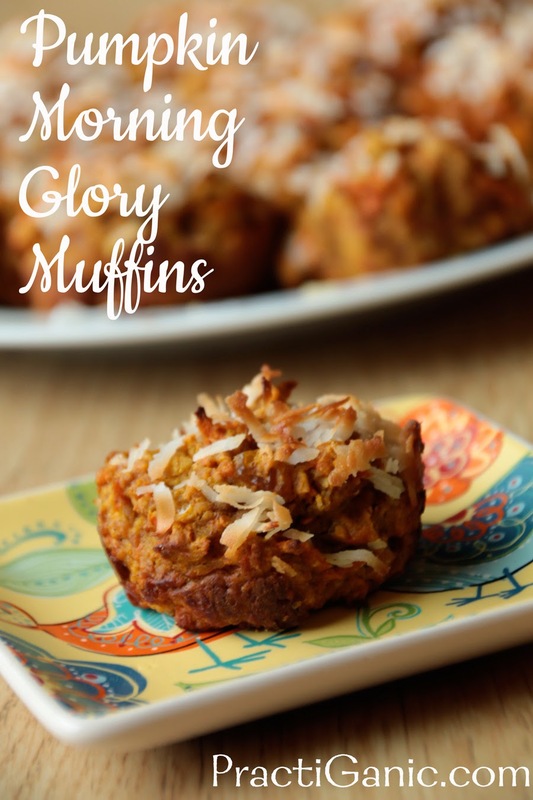 I figured I would add it to my pancake mixture when I was going to make pancakes, but the idea of a Morning Glory Muffin quickly came into my head and I decided to transform the classic recipe. 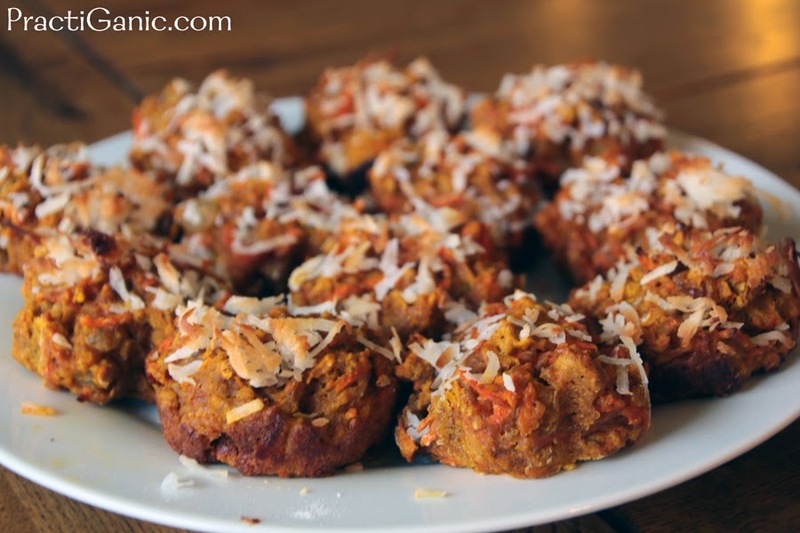 It's a great little twist and I loved having yet one more veggie in the muffin! In a bowl mix together your flour, oats, baking powder, cinnamon and salt. In your mixing bowl, mix together eggs, pumpkin, honey and coconut oil until everything is well incorporated. Slowly, add in your flour mixture. Then add in your carrots, 2 T coconut and raisins. In a sprayed and floured muffin pan, divide your mixture. It should fill each muffin tin about 3/4 full. Top with your remaining 2 T coconut. Bake at 350° for 30-35 minutes or until you can stick a toothpick in them and it comes out clean. Let them sit in the pan for 10 minutes before transferring them to a wire rack.